WFS chairman Gary McLaughlin and Angela Culhane, Chief Executive Officer, Prostate Cancer UK in Glasgow. Walking Football Scotland met with Prostate Cancer UK’s Chief Executive Angela Culhane to discuss the way forward for both organisations... and education was top of the agenda. Prostate Cancer UK is WFS’s charity partner and the meeting focused on the how to reach as many men as possible and increase awareness of the disease. The plans include sharing literature about the disease with the aim of encouraging people to take greater responsibility for their health and wellbeing. 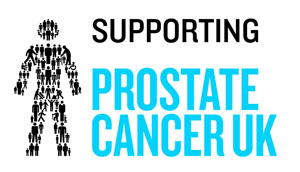 Angela said: “Prostate Cancer UK is delighted to be working with Walking Football Scotland to raise awareness about the disease, especially amongst men over 50, as well as to raise funds towards vital research. Prostate Cancer is the most common cancer in men and is the third biggest cancer killer in the UK with Prostate Cancer UK leading research into diagnosis and treatment. About one in eight men will be diagnosed with Prostate Cancer at some point in their lives. WFS will be coordinating a series of events next year with a fundraising initiative, asking members and member groups to get behind the charity and raise money to help beat this disease. WFS Board will meet soon to discuss putting this plan into action. l-r WFS Chairman Gary McLaughlin meeting Gerard McMahon Change Delivery Officer, Angela Culhane CEO and Bronwyn O’Riordan Fundraising Manager - Scotland of Prostate Cancer UK.